The reactions to Representative Rashida Tlaib's profanity and her calls for impeachment against the president have been mixed. While most Republicans are in sync in their outrage over her comments, Democrats are further apart. Some are cheering her on. Others fear she'll jeopardize long-term political and policy objectives. Some can't figure out which word upsets them more: her profanity or her rush to impeach before she's unpacked her boxes. And then there are the bigger questions about the value of civility and how race and gender influence reactions. Also this hour: A record number of Americans want to leave America, er, permanently. Lastly, we're taking your calls throughout the hour. 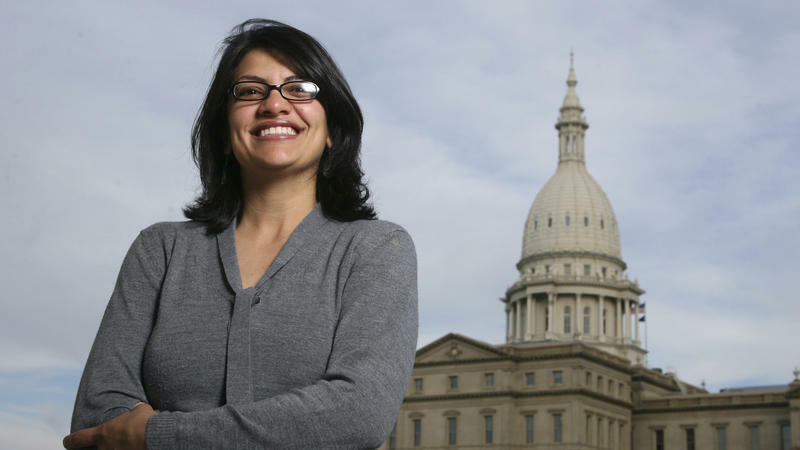 How do you feel about Rashida Tlaib's comments? Are you ready to pack your bags for the climes of Canada? Michael Wear - Chief strategist of The AND Campaign and author of Reclaiming Hope: Lessons Learned In the Obama White House About the Future of Faith in America. Julie Ray - Managing Editor for World News at Gallup. The 116th Congress is beginning its first session Thursday, and Democrats are now in control of the House of Representatives. Watch the first day of actions live, including the election for House Speaker, which Nancy Pelosi is expected to win, and debate on new House rules.